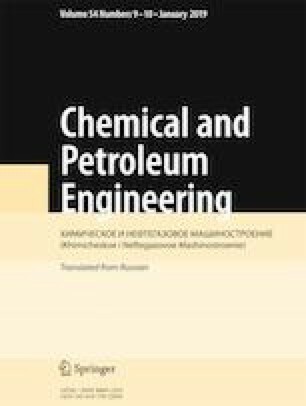 A mathematical model of the process of circuit charging of a methane adsorption storage system that takes into account the limited rate of heat and mass transfer between the gas and the adsorbent is presented. The mathematical model is designed primarily to simulate fast processes. An approach to a solution of the model to simulate circuit charging in cases of loose adsorbent and monoblock adsorbent with included channels to reduce hydraulic losses as well as an approach that implements an experimental adsorbent storage system with distribution of flows are presented. Translated from Khimicheskoe i Neftegazovoe Mashinostroenie, Vol. 54, No. 10, pp. 38–43, October, 2018.